With an extensive background in weight loss programming, Susan customizes plans based on your dietary and lifestyle habits. Realizing that everyone is different, and there is no “one size fits all” plan for weight loss, Susan offers successful solutions for every body – effective weight loss plans that are affordable, safe, satisfying and unique to the individual. Any diet that restricts calories can help you lose weight, but cannot guarantee a loss of body fat. If you are depriving your body of calories (hence, nutrition) the majority of the weight loss comes from water, muscle tissue, and lean body mass. The exact opposite of what you want to get rid of. When working with Iverson Fitness and Wellness Consulting, Susan helps you lose weight by losing FAT tissue while retaining your muscle mass. This is the only way to achieve permanent and successful results. 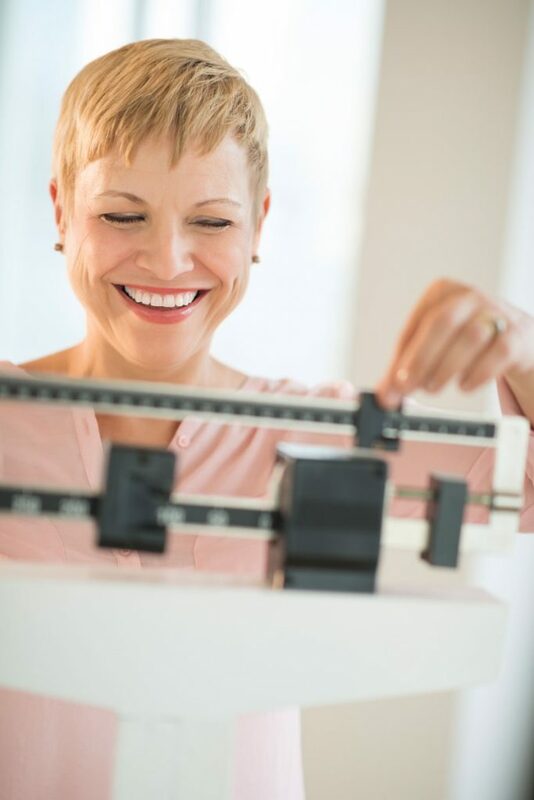 Consultations begin with a thorough health history and evaluation of diets or programs you have tried in the past, and obstacles that have hindered your weight loss. This is followed with an analysis of your body composition to determine how much of your weight is muscle, how much is water, and how much is fat. Susan will take measurements and help set realistic goals for your optimal health and well-being. Next Susan puts together a weight loss plan that is customized for you! The deciding factor is based on how much weight you want to lose, how fast you want to lose it, and your own dietary preferences. As a professional in health, fitness, nutrition and weight loss, Susan can assist you in the management of medical conditions related to being overweight. If you suffer from high blood pressure, diabetes, high cholesterol, high triglycerides, metabolic syndrome, sleep apnea or joint pain, these problems may be resolved as you lose weight. Susan will gladly work with your primary care physician by keeping them informed of your progress, so he or she may adjust any medications as needed. Many diets on the market have been stealing your money by promising impossible results on their shake, potion or pill. The truth is – many of these products are unsafe, artificial and expensive! Iverson Fitness and Wellness Consulting takes pride in the safety of our clients. We will openly discuss the use of FDA-approved appetite suppressants, fat absorption inhibitors, multi-vitamins, natural supplements, metabolic fat-boosters, supplements that suppress appetite and products which aid in calorie burning. For successful weight loss, you need to be fully aware of everything that goes in your mouth! Again, weekly monitoring is crucial for weight loss success. No matter which weight-loss plan you choose, initial weekly follow-up sessions (in person, via phone, email, face time or scype) are essential. During these follow-up sessions, you’ll receive additional guidance, instruction, feedback, education, and goal setting support for your success. Once you have started to lose weight and are confident in your ability to succeed on your own, follow-up sessions can be scheduled as needed.